Sarah’s daughter is being raised by her foster mother, who moved from Great Britain to the United States because Sarah doesn’t have her life under control. One night at the subway she witnessses a young woman taking off her shoes, putting down her purse and jumping in front of a train. Right before the she takes her life, Sarah gets a glimpse at her face; she looks exactly like Sarah. Instinctly Sarah grabs the purse and walks off. Desperate to get her daughter back, she decides to take over the mysterious woman’s life, but she doesn’t have a clue about what she gets herself into. 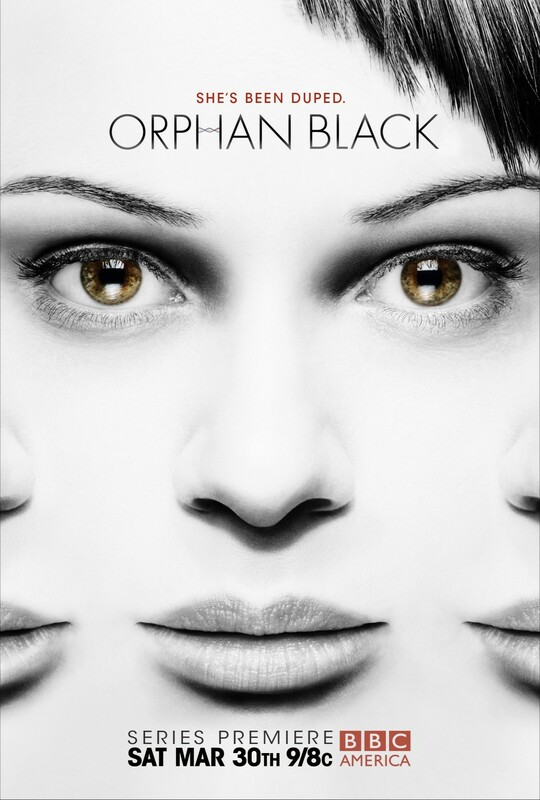 I haven’t heard much about Orphan Black, but man, was I blown away. The pilot gets you hooked already; there have been movies about someone taking over someone else’s life, but this is so much diffrerent. It takes you in a whole new direction and the writing is phenomenal. Tatiana Maslany is an amazign actress and I honestly have no idea where she came from, or why she was hiding from us. By the way, she looks like the love child of Alyssa Milano and Leah Remini. This Show is so brilliant and as far as the story goes it has endless potential and can basically go anywhere, which this season has already proven. 2012 was the year of Scandal, but 2013 is the year of Orphan Black. Hands down, this is one of the best drama shows (with a touch of sci-fi) I have seen in many many years. Watch it, you won’t be disappointed! It is only available as a rental on Netflix. Amazon got exclusive stream rights, and if you are a prime member you can watch the entire first season for free.